Time is running out! The NEC SV8100 is reaching its end-of-life. So what’s next? Why Work with Communique Sales Company? Thinking About Moving Your Business Phone System? Why Is Your Number Port Taking So Long? Communique sells and supports a large selection of peripheral devices for use with your communications system, as well as several popular Call Accounting Products. Our technicians have extensive experience installing and supporting Call Management Software, including TAPIT and Call Analyst. We have been an Authorized Plantronics Dealer for headsets for over 20 years. 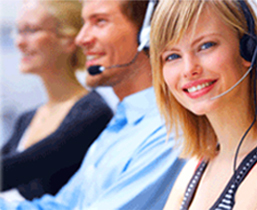 VXi offers a great selection of headsets for call center applications. We can help determine the best headset for your application and offer competitive pricing. Digital Recording Devices have become important add-on products for many of our customers. Digital recording devices have recently come down in price, making them affordable for all size businesses. Some customer benefits are; improved customer service, compliance with industry regulations, legal records of financial orders, avoidance of telecommunication abuse. Digital recorders can be programmed to record only specific calls or all calls. We offer several top brands including Oaisys Tracer & Talkument, Trivium SonicView and dvs Analytics Encore. We can help you decide which product is right for your application. © 2014 Communique Sales Company Inc.